Are you ready to teach phonics in an engaging and interactive way? Teaching phonics for transfer can be hard. Planning for it is even worse. 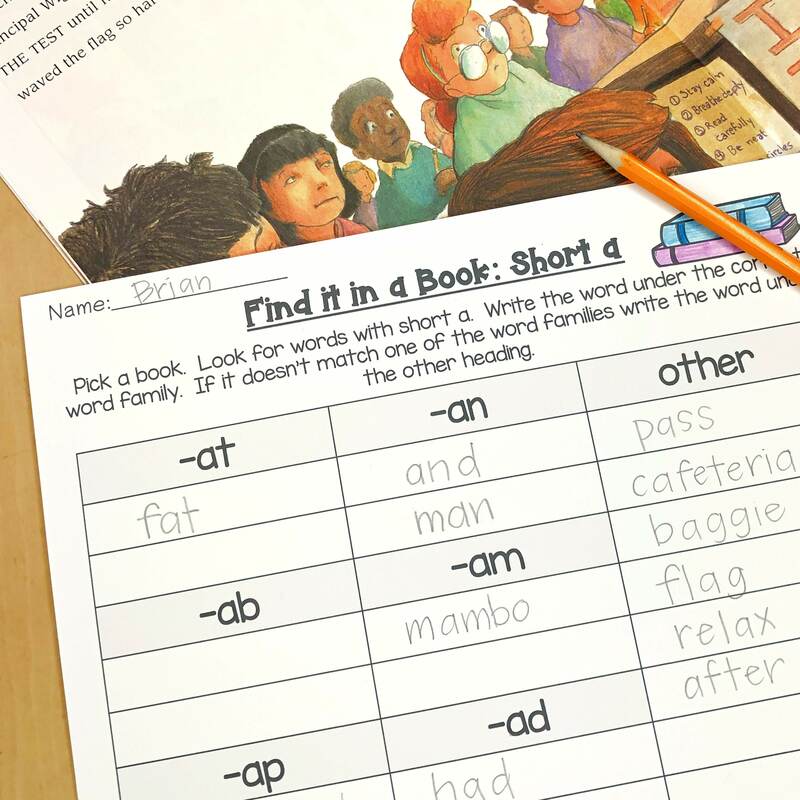 This short a freebie is a sample the Elementary Phonics resources. 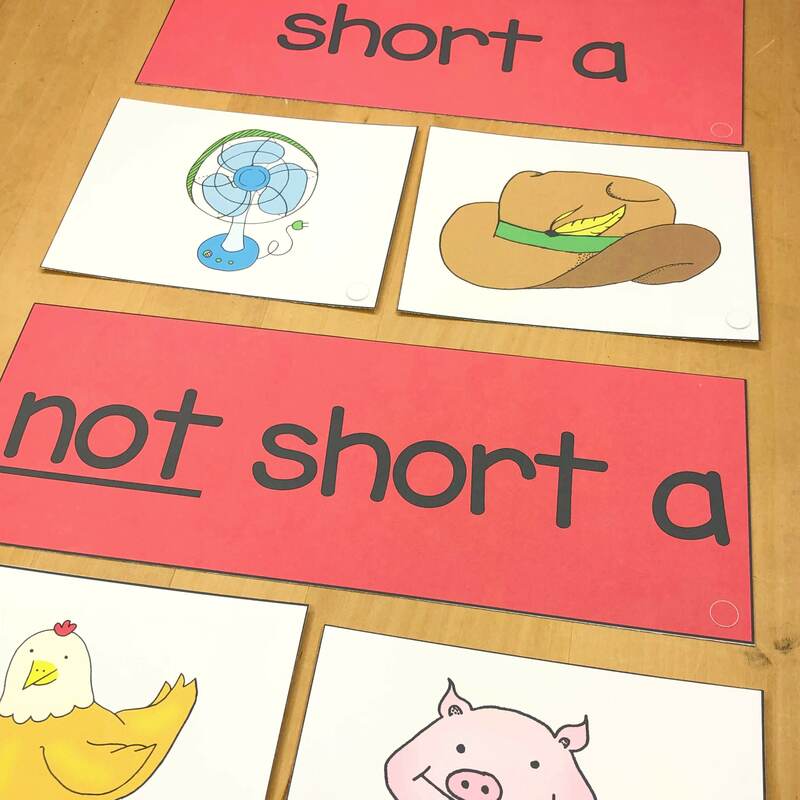 It will keep your students engaged while teaching or reviewing short vowel a. Whole group sorts to explicitly teach the skill. 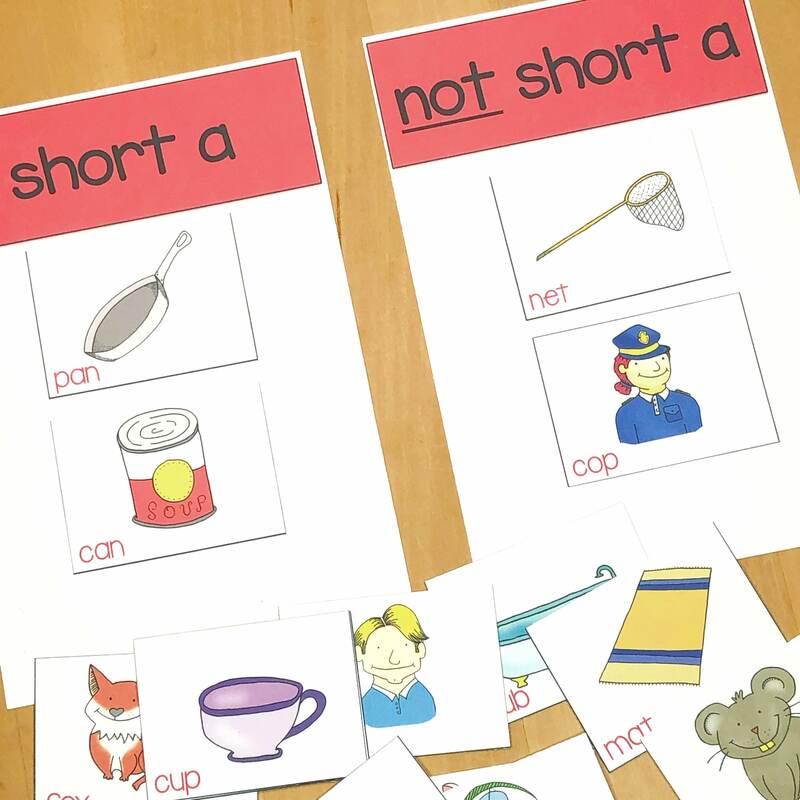 Small group sorts for centers or small groups so students can practice the skills. Independent sort and activities for students to transfer the skill or to use as assessments. Yes! Send me the FREE sample! Large picture and header cards to teach the skill to the whole class or group. Students can practice the skills in small groups or during centers. Worksheets students can do to show they have learned the skill. Thank you so much for signing up for this short a FREE sample. Be sure to head straight to your inbox to download your sample! Check your SPAM or other folders if you don't see it right away and make sure you add my email to your contacts.